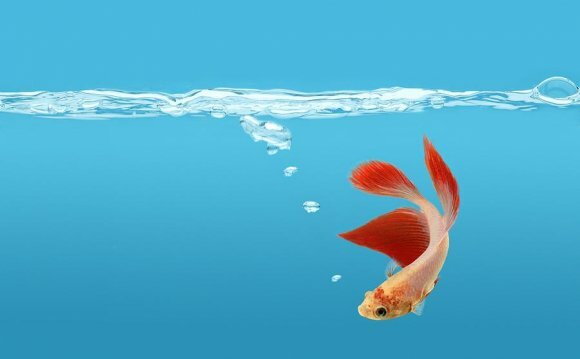 Mature male Siamese fighting fish (Betta splendens) were presented with a conspecific male confined in a clear plastic tube for either 15 minutes per day for 20 days (group E 15) or 60 minutes per day for 5 days (group E 60). A third group was presented with this aggression eliciting conspecific male stimulus for 15 minutes on days 1 and 2 and again on days 19 and 20. This group (group C 15) was designed to control for post-stimulation waning of aggressive behaviors independent of constant stimulation and also to control for response decrement as a simple function of time. Two components of the aggressive display and frequency of biting were recorded. It was found that with groups E 15 and E 60 all aggressive behaviors habituated. In general, habituation was more rapid with the short stimulation periods than with the longer ones, although qualitative differences were also found and described. Comparisons of groups E 15 and C 15 showed that repeated daily exposures to the aggression eliciting stimulus were necessary to obtain habituation and that two days of 15 minute stimulation followed by 16 days of no stimulation did not result in response decrement on any of the measures recorded. Affiliations: 1: Department of Psychiatry, University of California and Laboratory of Psychobiology, Langley Porter Institute, San Francisco, California, U.S.A.